I have been kayaking for years but am having increasing difficulty handling my 50-60 pound kayaks. They are wonderful but too heavy. I do some river (light currents), lake, coastal kayaking. Sit in mostly but do own a sit on top ocean kayak. We have a place on a river and often have company who are not yakkers. Looking for some advice on a lighter kayak. 35-45 pound range which tracks well. That is a huge problem with the lighter kayaks. The tracking. Three strokes on one side to keep it going straight. Any advice on type, style or manufacturer. Weight does not affect tracking. Hull shape does. What sort of kayaks have you tried. Only SOT? The lighter end of the spectrum of kayaks is going to lean more towards composite construction. I have a new Lincoln Isle au Haut that needs a good home and at 17'2" is only 42lbs. I'm not sure that's what you have in mind though. I'm thinking that the OP's correlating tracking and weight is because the lighter kayaks they tried must have just been shorter. Especially in the rec boat world, weight is often just a matter of length, and therefore tracking. Yes I understand that it’s length that determines tracking. It Seems though, in my limited experience, that weight is sometimes saved through making the kayaks shorter. I have four kayaks. Three are sit ins. Only SOT. What I’m looking for is a lighter kayak that tracks well. What I’m looking for is a lighter kayak that tracks well. Are you looking for a particular length? One of my kayaks is 14-ft long and weighs 43#. Tracking isn't an issue; it has a skeg. I have four kayaks. Three are sit ins. Only SOT. What I’m looking for is a lighter kayak that tracks well. Might be useful for us to know the makes and models of what you currently use, so we have a comparison point. Epic surf ski.....sot......tracks well and light weight. Or a Stellar ski. Epic and Stellar make skis that are kayak like. Ooh great suggestions. Thank you. I have three perception Carolina kayaks at 50 pounds, and a perception access sit on top. Will check these suggestions out. Thanks for the help. Epic GPX Ultra at 27 pounds and 12’11 length. Great reviews. I had a CNC Shrike-R built for me several years ago (26lbs). It sounds like we paddle the same type of water and have the same focus on weight and well-behaved hulls. As Marshall said, tracking is a function of hull shape, not length. For a given hull style, a longer hull will track better, but that doesn't mean all short boats track poorly. For what you want to do, I'm guessing 14 feet (or even 12) is enough length if the hull tracks reasonably well. The skis and fast touring kayaks mentioned above are all good boats and light, but not necessarily well-suited to the water you want to paddle. Plus they will be a step up in skill required and are NOT a good loaner boat for visitors with no experience, one of your intended uses. I tested the Epic GPX, a nice boat. The design and paddling is really good. but I found the deck too low - I had to sit with my legs mostly flat, can be difficult with knee/hip/back problems. 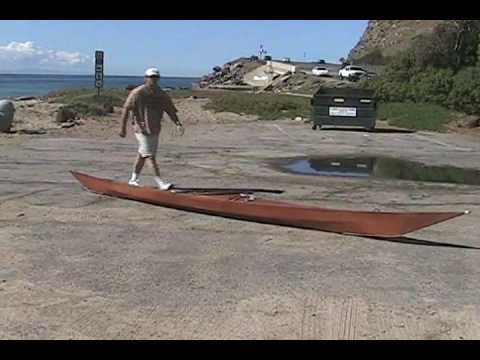 I've paddled and like Lincoln kayaks but never owned one. Ditto for Eddyline. My lightest and best tracking boat is a 13'9" skin on frame Cape Falcon SC-1 (early version of the current F-1), weight about 33 pounds. It has a skegged stern and glides amazingly well, SOF is more durable than you might think. A pack canoe would do well in the types of water you want to paddle. They can be extremely light, there's a wide variation in styles and price points. Folders (e.g. Pakboat Saco, 12.5 ft, 20 pounds) and performance inflatables (e.g. Sea Eagle 393rl, 12'10" 35 pounds) are also an option. Now that you have a long list of possibles from all the posts here, I suggest looking for used boats here on p-net or the local classifieds. I started out trolling the used listings here, then looking up the boats for sale that seemed interesting - you'll soon get an idea of what's out there and what you might want. Often a used boat that you're not happy with can be resold at cost, sort of a no-cost rental to try things out. The Current Designs Vision 130 composite might do the trick for you. I'm 5'6" and 165 lbs and find it to be quite efficient easy (for me) to keep straight and quite maneuverable when put on edge. I haven't paddled it on any rivers, and probably won't, since I usually take my solo canoes on shallow, twisty rivers. Thank you for this. From the profile of the boat I was a bit concerned about just that issue. At 60 I sometimes have these issues. My sitting antics in a kayak can be interesting to watch! Remember that durability and cost are inversely proportional to weight. Heavy means inexpensive and indestructible. Light means wonderful handling characteristics but very fragile. Check out Placid Boatworks Shadow. There was a least one mention of folding kayaks -- the lightest boats are the skin on frame type, whether commercial folding models or hand-built replicas of traditional Greenland kayaks with steam bent wood frames and urethane-coated fabric "skins". I'm 8 years older than you so I can totally relate to the yearning for kayaks that are not painful to wrangle. If your budget can handle it ($3000 to $4000) the Trak folding kayaks are amazing -- their 16.5' model 2.0 sea kayak looks and feel like a hardshell and sets up in 10 minutes but only weighs 42 pounds. It's fully sea worthy and, as an added bonus for those of us who are retired and have the freedom to travel, can be transported as checked luggage on airlines or carried in the trunk of a rental car or small motorhome. The company has what they call "Trak Pilots" who are a network of competent paddlers around the country who own Traks and who can be contacted to meet prospective buyers for test demos and/or to get new owners oriented with their boats. I met one of them last month with his client on a local waterway. Was extremely impressed with the Trak kayaks themselves -- my first opportunity to see them on the water in person. True objects of desire. The Traks also do something no other kayak can do: the frame has hydraulic extenders so that with the push of a button you can change the rocker of the keel to alter performance to suit conditions. Though I have one hardshell kayak (a 44 pound 15' Venture Easky LV) the rest of my personal fleet is folding kayaks including a 37 pound 15' 7" Feathercraft Wisper and a 27 pound 13' 6" Pakboat Quest (both capable coastal open water boats) and a custom buiklt woodframed rigid skin on frame that is 18' long but only weighs 31 pounds. It's very fast, tracks like an arrow and handles rough water very well. Surprisingly stable for a boat only 21" wide but It can be rolled back up easily, though I have not had enough practice to really do that reliably. I also have a Pakboat Puffin solo (an older version of the Saco that Carldelo above mentioned) a 12' sit inside kayak that only weighs 20 pounds. It's not really a boat I would take far from shore, however, though it's OK for rivers and sheltered bays. Took it with me on vacation to England last year and did not have to pay any excess baggage fees. True-ish, but not completely true. Most SOF are light, only some are fragile, many are quite robust. Even beyond SOFs, a well-constructed composite boat can be both very light and very durable. What it can't be is inexpensive, as it requires more expensive materials (S-glass, Kevlar, Carbon fiber, foam core) and manufacturing processes (vacuum-bagging), plus tight quality control. Remember that just about any wood or composite craft doesn't like impacts with rocks very much and pretty much can never be launched or dragged on rocks. We live on the water with a very rocky beach, ergo anything but rotomolded would be highly inappropriate. I found out just how weak wood was in the face of these rocks and came running back to heavy plastic with my tail between my legs. Of course weight for me is not an issue because the water is literally "at the end of our backyard". That said you can get a dolley and you can even lift the kayak and load one end on the racks first, than the others. There are ways of getting plastic to work for you. There you have it. The entire gamut of kayak types and materials. The looking is fun! Please let us know what you get. Remember that just about any wood or composite craft doesn't like impacts with rocks very much and pretty much can never be launched or dragged on rocks. While I wouldn't choose a cedar strip kayak for rock gardening, fiberglass boats are incredibly tough. I've launched and landed on numerous rocky beaches and dragged many a 'glass boat across them. Sure, they get scratched, but so do rotomolded boats. 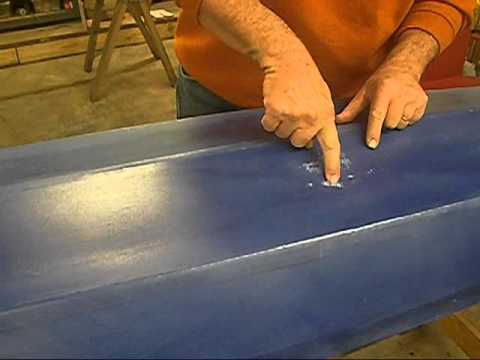 The difference is that you can repair gelcoat, but there's nothing you can do for a shredded poly boat. I don't understand why you insist on portraying composite boats as delicate...they aren't. My downriver boat is a Ruahine Swallow from New Zealand, and is composite, and is incredibly tough. It is designed to bounce off the occasional rock at speed and stay intact. At 17'8" and 30 pounds. I would certainly consider it light, but as has been mentioned, the combination of lightweight and strong doesn't come cheap, although I picked it up used for a great deal. For some great examples of the durability of composite boats, check out John Kazimierczyk's Millbrook Boats. While mostly canoes, they are designed for whitewater use and definitely aren't delicate! I have found fiberglass to be very durable. I have a 1972 Mohawk tandem fiberglass canoe that has come off a flatbed truck at 50 mph and is still ticking, but two heavy for me at my age to handle alone. I have two Kevlar canoes a solo and a tandem. The solo is 15' 6" long of S-glass and Kevlar and weights 35 pounds. The tandem is 16' long and 52 pounds. With 60 pounds of gear and 2 men pushing it close to 450 pounds total in the boat. I have hit more than one rock running rapids with it. I have repaired only one minor ding in the bow. I have seen plastic boats with big dents in their bow doing the same thing. I don't consider either type delicate. However, there is definitely a considerable weight and price difference. Though repairing composite boats is much easier. My mother was avoiding a lot of great kayaking opportunities with her 50lb wilderness Systems because of the trouble she was having managing the kayak off the water due to having a tougher time with is weight as she got a bit older. Seemed to sneak up on her! That all changed after she bought her Eddyline Rio. At just over 11 feet, it doesn’t track as well as what she’s used to, but certainly good enough for her all day paddles with friends or even large organized paddles. And the weight, or “lack there of”, was a more than worthwhile trade off. At 35 pounds it has made the difference of simply kayaking or NOT. I have a Fathom myself along with a couple of other brand of kayaks and due to weight, often choose the thermoformed Eddyline for most conditions I find myself on day or long weekend adventures. This is not meant to try to promote a brand, just what I’ve tried. I certainly don’t have the valuable experience or knowledge that many of the regulars on this forum do. I just know what I saw work for my mom and thought to share. Cheers! @Jimmy: The Rio is a sweet boat. Great decision by your mom since she still has the joy of paddling and more importantly, it's a safe rec kayak with deck rigging and bulkheads fore and aft. For that reason I will promote Eddyline when it comes to safety. Every kayak they produce has two sealed bulkheads, including their 10-footer. I think they're the only ABS manufacturer who does that. Delta doesn't. Hurricane's entire Santee series (including their 14-footer) have only one bulkhead and lack deck rigging. My experience in sit-in kayaking is limited to one boat, an Eddyline Equinox. 14 feet long, 45 pounds, no rudder, only paddled on large lakes, rivers, and it tracks great. The wind has to start pushing 1-2 foot quartering tailwind waves before I start getting annoyed with tracking. Bounced it off concrete and the occasional hidden tree stump with some scratches. The only major damage was catching the top of a submerged metal fence post (imagine nails on a chalk board) and it didn't feel good and certainly didn't sound good and, when I got it out of the water, it didn't look good. Fixing that ugly scar is my only repair on the boat so far. My thought process when buying it was "If it ain't easy to move, I probably won't use it as much." Moving it from storage rack to roof rack is not a problem nor is carrying it to the water. I paid $700 for a used Pakboats Quest 135 (Skin-on-frame folding kayalk, 29 lbs, 13.5', 23"). It tracks well in my hands and is nimble and durable. In water, it presents a slight v hull shape (which helps tracking) and good secondary stability. It takes about 30 minutes to assemble. But loading, strapping and unloading a hardshell kayak from/onto a car wouldn't take much less time either. Most of the drop stitch inflatable kayaks have very flat bottoms, which may not make them track very well. But experienced paddlers can probably compensate that with good paddling techniques. Here's your good light kayak at 40:30. The Eddyline Rio (35 lbs.) and Equinox (45 lbs) have been mentioned and are both solid choices. The Rio is a much smaller volume boat. Someone mentioned Current Designs Vision 130. I have one of those in the carbon/kevlar layup and it's wonderfully versatile and weighs less than 40 lbs. The more commonly available composite layup of the Vision 130 weights only 40 pounds. It's responsive and tracks well. The Stellars are lightweight, fast and worth a look. i have a Pungo Ultralite...2 things i have noticed so far ...ultralights don't like the wind and the material they are made from, do not like being dropped or rammed into things ..I have had to have the stern plastic welded after dropping it and putting a 6 in.split in the transom end. As Far a tracking goes ,because they are lighter overall ...the input from paddle strokes seems to have a bigger effect on them directionally than on the heavier plastic boats . PS : ultra light materials DO NOT like cold, frigid waters !!!!! PS : ultra light materials DO NOT like cold, frigid waters !!!!! Maybe some don't, but some do.